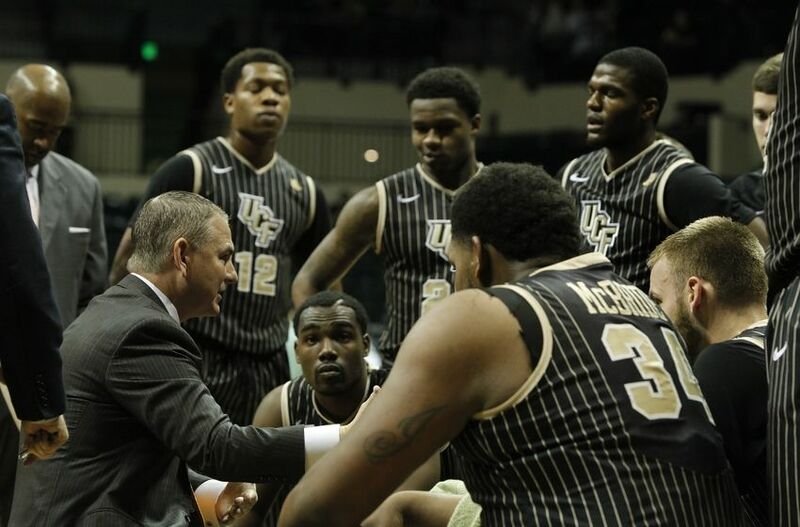 This article was written by Adam Williams who is the Assistant Director of Operations for the men's basketball team at the University of Central Florida. He has been a part of the Knights program since 2012. Before joining UCF Adam was a part of the Marshal program as well as West Virginia Tech. Many times I will be in discussion with good friends of mine in coaching and they will ask me the question, “How do I get in?” It’s a simple question with a not so simple answer. These friends are often trying to figure out how to advance their careers. And to be honest, I don’t really know if there is a right answer. What I do know is there are a few core components that will at the VERY LEAST make you much better at what you currently do. Here are the cliffs notes version of what I feel can help us all! There is a reason I lead off with this term. Without a doubt, the most important aspect of becoming a college basketball coach at any level is RELATIONSHIPS. Relationships in recruiting, with other coaches, with important business people, they are all vital in advancing your career as a coach. It is so important to remember that just because you know someone, does that mean that they know you? There is a HUGE difference. Very few in coaching are going to hire a person that they do not know fairly well. Trust is the most precious characteristic that we have in our business for a coach. Do I trust you? The bottom line is I must know you well before I can trust you!! Do not be afraid to reach out. Write 2 letters every day to coaches you do not know, but would like to. Attend coaching clinics where you learn the game as well as meet other coaches. Say hello to coaches on the road recruiting; ask them to grab dinner. You will be surprised the response you get by spending a few minutes of your time trying to get to know someone else! Answer this question about yourself: When I walk into a room, is my presence felt? If the answer is yes, then you are on your way. If it is no, you may want to consider making some adjustments with how you carry and project yourself to others. No one wants to hire someone who is unsure of themselves or their decisions. Now a large part of this is being PREPARED when your number is called, but you must present yourself with a certain confidence or swag. If your boss asks you for your observation about a player or your opinion on a play, he needs you to be confident in your response. If someone cannot look into your eyes and feel like you are sure, they will undoubtedly question you. The ability to project this confidence to others and then follow through with results can help get you in the door, and then keep you there! You must add VALUE! What is your value? Are you a great recruiter, are you great with kids, are you great with office organization, are you great on the bench during games, are you versatile in all facets? You must bring something to the table that a coach is looking for, and cannot be easily replaced. The best part about this is you can do this from any position. Just be the BEST AT WHAT YOU DO! If you are a DOBO and camp is a responsibility, kill camp! Blow it out of the water! If you are the recruiting coordinator for your team, make it a goal to make a new connection or discover a new player every day. Find a new basketball drill for individual workouts. Do something HARDER or BETTER than anyone else. At the end of the day, Value is such a key in coaching. You have to find a way to make yourself indispensable to whatever staff you are working with. If you are adding significant Value, those inside your organization will eventually not be the only ones to take notice. A mentor and coach of mine told me when I first got into coaching: “There is ALWAYS something to do in the office.” This is so true. If you are worried about what time you are getting home or having weekends to yourself, you should re-evaluate your career decision. Coaching is not meant for those who aren’t grinders. To me, every successful coach is a grinder. You will often see the media describe someone as a “grinder”, “relentless recruiter”, or “extremely well connected.” The truth is, every successful coach is one of these things. The advice I like to give younger guys is this: Be the first to arrive and the last to leave. It’s that simple. That guide is the only watch you need to worry about when getting into coaching. I have saved this for last because if you remember anything, I want you to remember this. Be who YOU are! There are enough people in this world trying to be something they are not. Never compromise who you are or your personality for anyone. There is no reason that you cannot do every single thing on this list, and still be who you are at the end of the day. Thank you very much for this article. I am an aspiring coach in hopes that one day soon will have the opportunity to coach division I basketball. This article has given me some really helpful information and more importantly has inspired me to try just that much harder to reach my goal and dream to become a collegiate coach.